Please visit our Facebook page to learn more about our fundraising event generously hosted by Blodgett Canyon Cellars on Wednesday May 1, from 5-7 pm. There will be live music, a silent auction, wine, and cheese. A portion of proceeds benefits Ravalli County Recycling. Please come, follow us on Facebook. 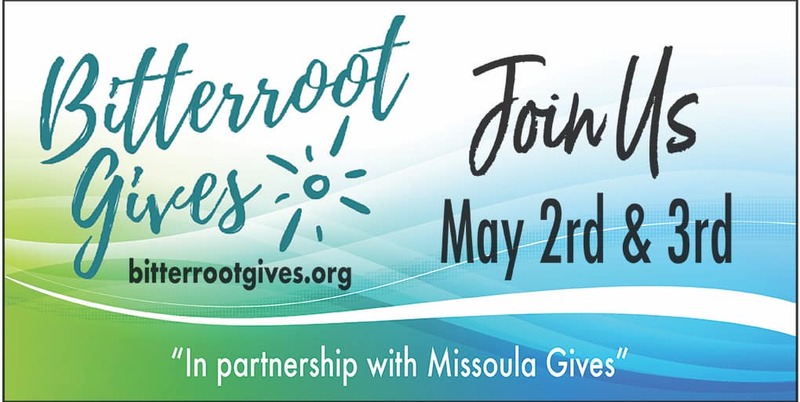 As a nonprofit, we will be participating in Bitterrroot Gives May 2nd and 3rd. This is a 27-hour online day of giving. It is the major annual opportunity for our nonprofit to ask for community support. Unlike other organizations in the valley who receive government funding, RCR is all volunteer run and relies only on the support and funding from local heros like you. You benefit from our work and you fund it. We are in our 9th year of operation because our community wants and supports recycling. Thank you for your generous support over the years. Together we make our valley a better place to live and raise our families. Please join us in our mission to minimize waste by recycling, reducing, and repurposing. We all need to rethink our use of plastics and conserve our natural resources. Please join us May 2 - 3 online. Thank you in advance for your support! Mondays 3 to 6 p.m. Accidents and other obligations have diminished our usual volunteer pool. Please consider volunteering for a shift in April. Even one 3-hour shift would be a tremendous help. We are in need of pallets! to see if they fit our pallet jack. Our bales need to be 100% corrugated cardboard in order to go to market and be recycled. Interested in volunteering at RCR? 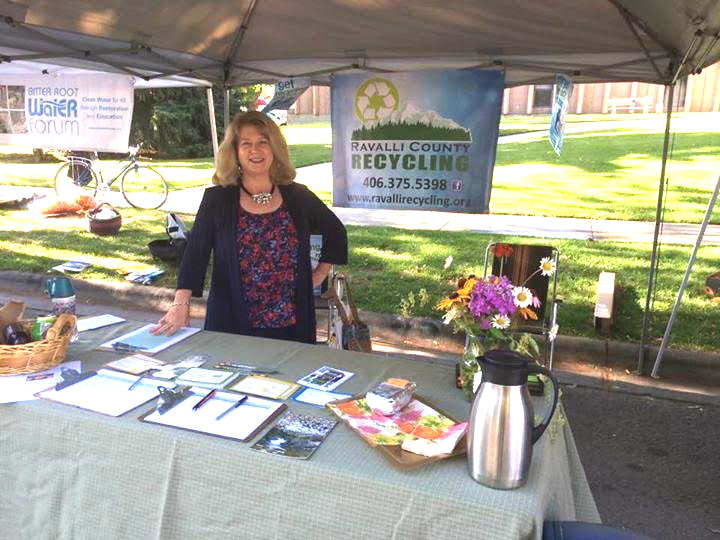 Call Pam Aikins, our volunteer coordinator, at (406) 375-5398. Every week, we work to divert waste away from landfills and provide a low-cost solution to those who can bring recyclables to our drop-off site. Affordable curbside pickup service is available for those who can't or don't want to bring it in. Without Recycling, we would be throwing away materials that can be processed and sold for re-use. Landfills are filing up while they pollute groundwater and fill the air with methane gas. Recycling can save non-renewable resources and energy. The bottom line is that human generated waste can ruin our Valley and our planet. We are a non-profit recycling group. We are your friends and neighbors who believe that recycling must be a part of our lifestyle in Ravalli County. We believe that recycling is an important way for individuals and businesses to reduce the waste they generate, conserve our natural resources, and save our landfill space. 1) Monetary contributions of any amount to help pay a bookkeeper and defray other costs.